Chants of “f*** Sarri ball” could be heard across the stands of Stamford Bridge during the FA Cup tie against Manchester United. Reports on managers who could replace Maurizio Sarri have flooded different newspapers and football blogs since. All this, only after seven months of a much-anticipated appointment of the former Napoli boss who replaced his fellow Italian, Antonio Conte. That was the second time that Sarri was replacing Conte as the manager of a club after US Arezzo had appointed him in the Italian second division after firing Antonio Conte back in 2006 before the same happened again as he took over from his countryman at Chelsea last summer. Things seemed to have taken off well when Sarri managed to remain unbeaten after first 12 league games. But then, it all took a turn when the Italian started finding English life tougher. 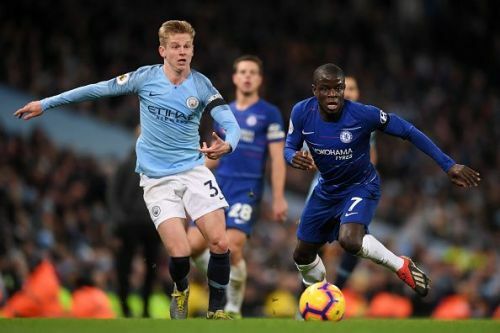 In the six games prior to the league cup final, Chelsea suffered thrashings at Bournemouth and Manchester City before being humbled by Manchester United at Stamford Bridge. They conceded an overwhelming 12 goals in those defeats without significantly disturbing the goalkeeper at the other end. Their three victories during that period included a win in the league against a club glued to the bottom of the table and two in Europa League against a club whose name you’d probably google to know about its league if you do not follow football beyond Europe’s top leagues. To worsen things, a few weeks ago Chelsea would hear the news that they cannot buy players for the next two transfer windows. The air might have settled a bit following the recent collapse, but Is Sarri a part of Chelsea's future? With their chance of a top-four finish put in jeopardy and the Europa league now being the only realistic hope of finishing the season with some silverware, you’d wonder where did it all go wrong. Is it a bad manager? Is it a bad set of players? The answer is probably neither. In Chelsea, we are probably witnessing a decent set of players, managed by a decent coach with not so decent results. Most of the players in the current Chelsea squad, one would feel, are more suited to the previous manager’s philosophy and haven’t yet adjusted to what their new boss is expecting of them. Is Marcos Alonso better as a conventional full back than as a wing back? Is David Luiz not better in a back three? Isn’t N’golo Kante supposed to be the world’s best holding midfielder? If Sarri’s appointment was with a view of bringing about a revolution in Chelsea’s style of play, then it is important for the club to trust him. Signing Jorginho in summer and Higuain in winter and expecting Premier League trophy in the immediate spring wouldn’t be fair on the manager. Any manager trying to bring about a significant transformation needs backing for a sustained period, considering a long-term scenario instead of expecting immediate results. For all the talks, has Maurizio Sarri been that bad so far for a man trying to bring about a change? 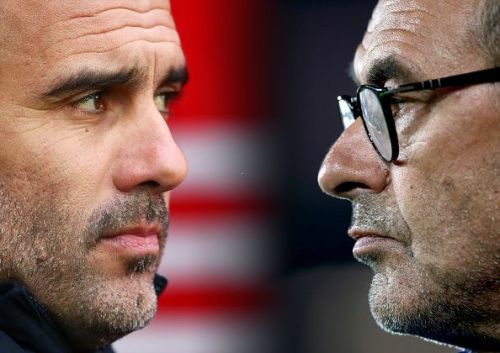 After 43 games as the manager of Chelsea Football Club, Sarri has managed 28 wins which is one more than what Pep Guardiola had managed in his first 43 games at Manchester City in all competitions. But Guardiola was always going to be given some time. The Spaniard, then, had the liberty to spend more than a whopping 250 million Euros across two transfer windows before winning the Premier League in an intimidating manner. 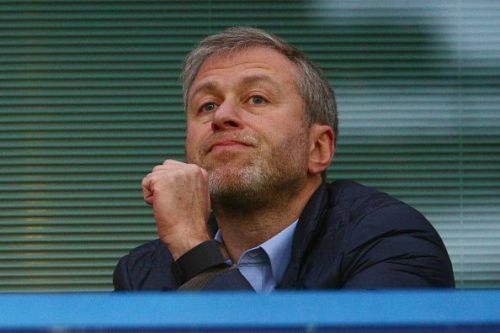 Roman Abramovich - the executioner? Can Maurizio Sarri be expected to get similar backing at Chelsea? The chances seem very sleek, given the history of Roman Abramovich and Chelsea managers during his tenure. Since his takeover of the Chelsea football club in June 2003, the Russian billionaire has spent an exaggerating 89 million pounds only on firing managers, Antonio Conte is the most recent out of eight different victims. Even if Abramovich appointed Sarri with a view to revolutionize the way Chelsea play, the transfer ban would mean that he would not be getting any new players and Sarri clearly doesn’t seem to be at his best so far with the current set of players. Transfer ban- End of Sarri? The transfer ban could be a huge factor in deciding Maurizio Sarri’s future at Chelsea. A decent showing in Carabao cup final and satisfying victories over local rivals Spurs and Fulham in the league seems to have calmed things as of now, but one would feel a series of such results is really important. 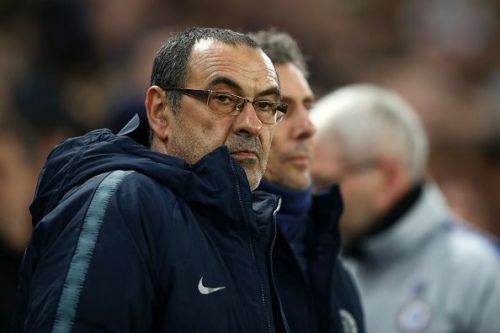 Unless Maurizio Sarri manages to bring the best out of the current players to stitch a string of consistent results, a sack seems highly likely. Chelsea’s appeal to the transfer ban which they have raised might postpone the ban if not completely lift it by giving them a window to plan before the ban. A window of hope for Maurizio Sarri if the board decides to back him.